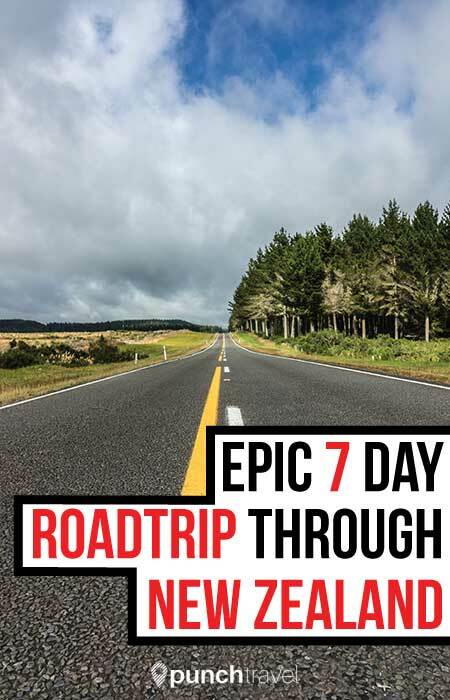 We spent over two weeks in Auckland and were itching to hit the road and check out the rest of the North Island. Two weeks is more than enough time – you’ll probably want to give Auckland 2-3 days to do it justice. 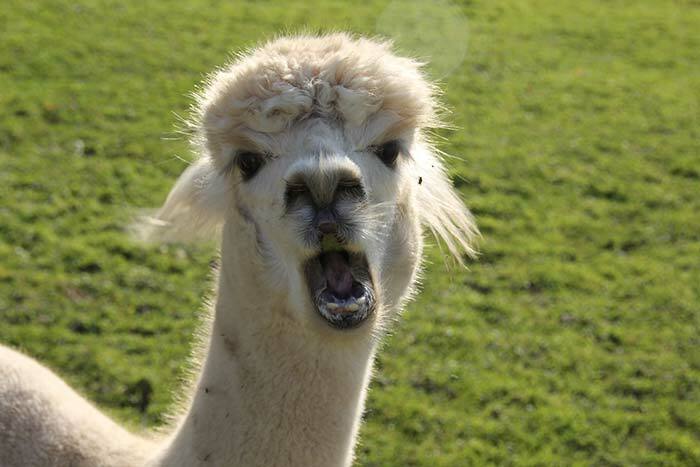 For our recommendations of the best things to do in Auckland, read our post, Weekend in Auckland. 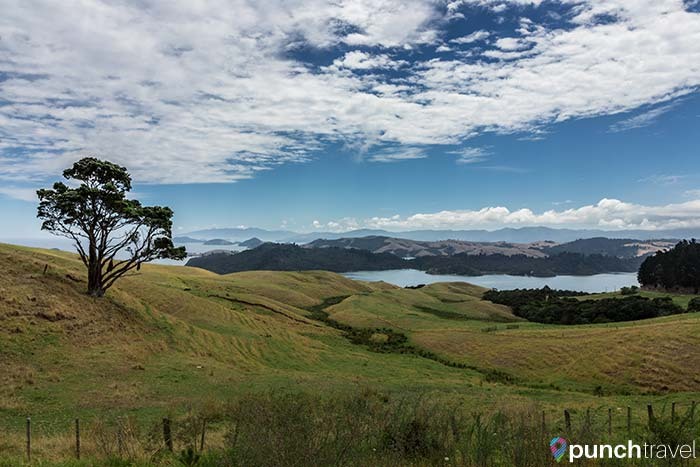 After we picked up our rental car from Snap Rentals, we headed straight for Coromandel from Auckland. We took State Highway 1 and then got on State Highway 25 for most of the drive. The first hour and a half was a scenic view of the countryside. 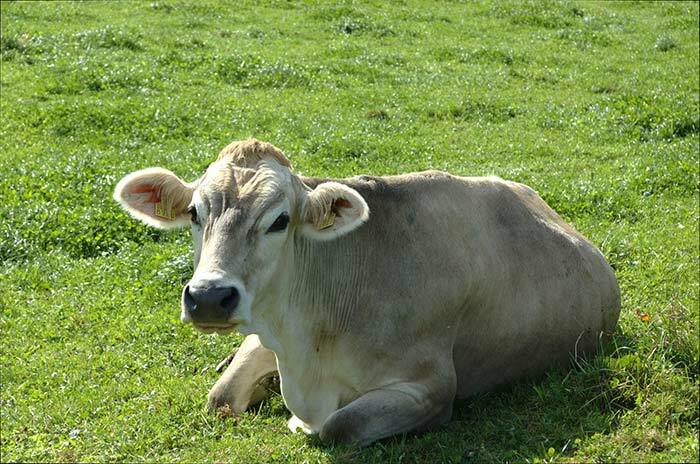 And cows. Lots of cows. Throw in a few sheep as well. Once we hit around the town of Thames we were on the narrow coastal road called the Pacific Coast Highway. This was when the drive redeemed itself. Wide expanse of ocean accompanied us for the next part of our journey. Narrow beaches completely covered with seabirds. The road continued winding up to the top of the hill. From here we stopped to take in the amazing views of the gulf. Big puffy islands dotted the coast line. We stopped in Coromandel, a fishing town, for lunch. Signs for fresh mussels and seafood abounded. We ate fish and chips at a little family-owned cafe. We continued driving on 25 until we reached Hot Water Beach. I wonder if the band Hot Water Music took inspiration from here? 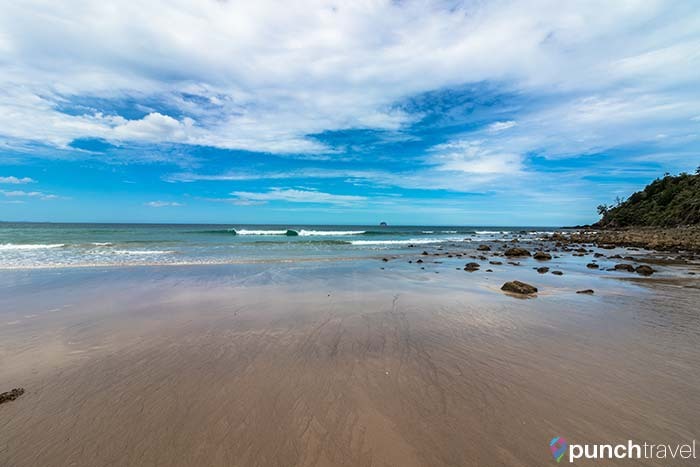 Every day at 2 hours around low tide, grab a shovel and dig into the sand until you hit hot water. The source of this poor-man’s spa is a geothermal spring running only a few feet below the surface of the beach. It’s one of Mother Nature’s most generous gifts! After our spa-esque indulgence, we headed about two hours south to the town of Hamilton. Hamilton is the fourth largest city in New Zealand, and it is not very big. 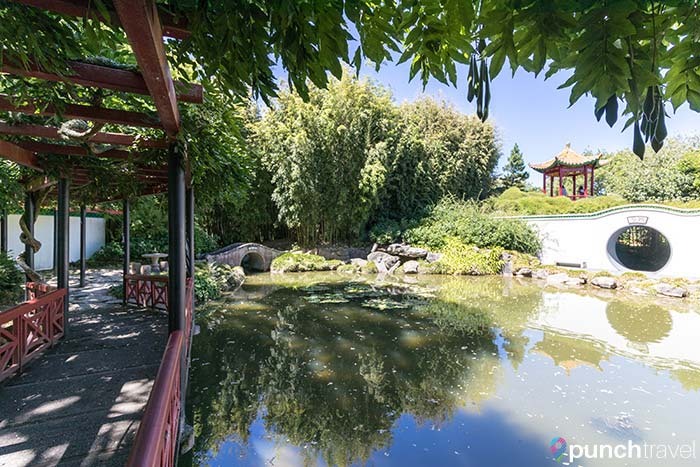 For such a small town though, they have one of the nicest attractions in the country, the Hamilton Gardens. The gardens are absolutely beautiful and well thought out. There are several themed-gardens that showcase different styles. 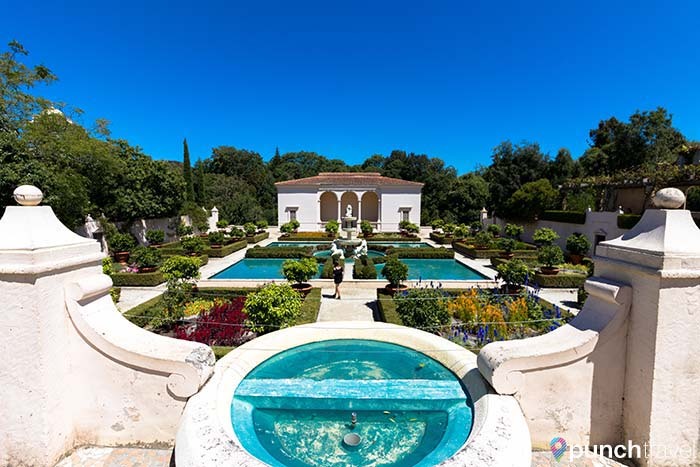 Take a walk through the Japanese Garden of Contemplation or the Italian Renaissance garden. It’s like a garden theme park! Another one of my favorite areas of the gardens were the kitchen and herb gardens. Rows upon rows of vegetables and herbs grew with fervor and we had a good time daydreaming of what we could cook up. In the day, Hamilton’s main street is a ghost town with shuttered businesses and empty crosswalks. In the evening however, Victoria Street comes alive with bars with cover bands playing American hits. We felt right at home listening to “Sweet Home Alabama” and drinking a local microbrew. 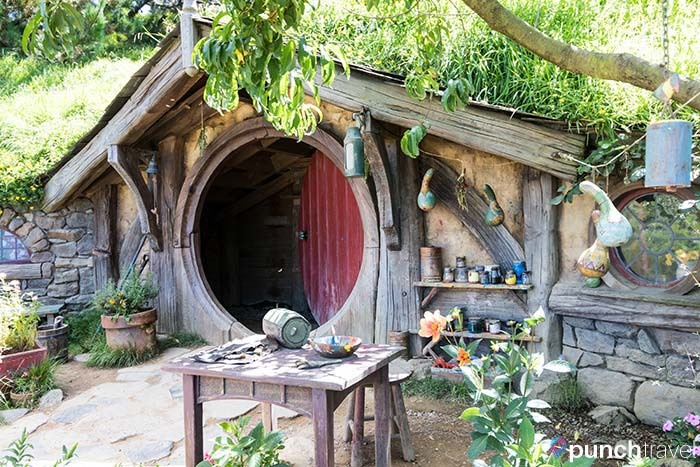 Even if you are not a fan of Lord of the Rings, a visit to the Hobbiton movie set is a lot of fun. The drive out to Matamata is remote, but with each turn we drove deeper and deeper into hobbit territory. It is only about 45 minutes from Hamilton and is worth a stop. I don’t want to give it all away now. You can read about our visit in detail here: Discovering the Fantastic World of Peter Jackson at Hobbiton. The next stop on our trip was Rotorua, a geothermal wonderland. The distinctive smell of sulphur signals your arrival into this unique region. Thermal spas abound and you are certainly not without options. We checked out the Polynesian Spa which contains several adult pools, family pools as well as private rooms. Many hotels in the region also boast thermal spa bathtubs. 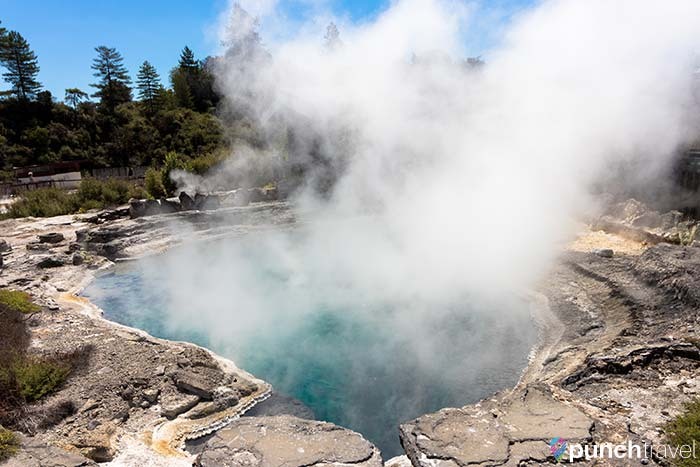 You can get up close to the thermal pools as well as take part in a Maori cultural experience at one of the villages in town. 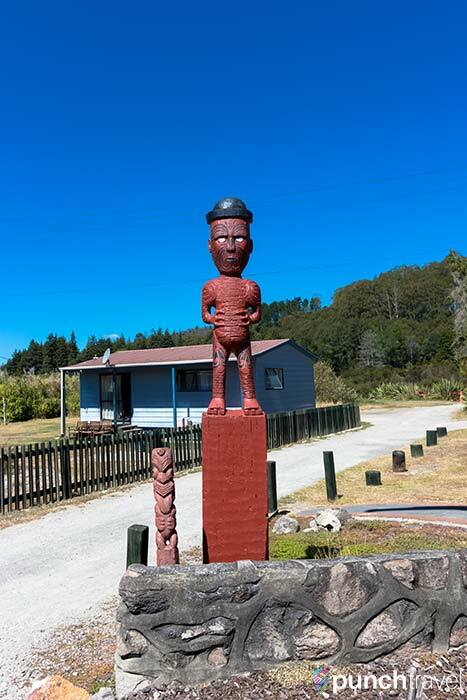 There are several to choose from, however we chose to visit Whakarewarewa Village. 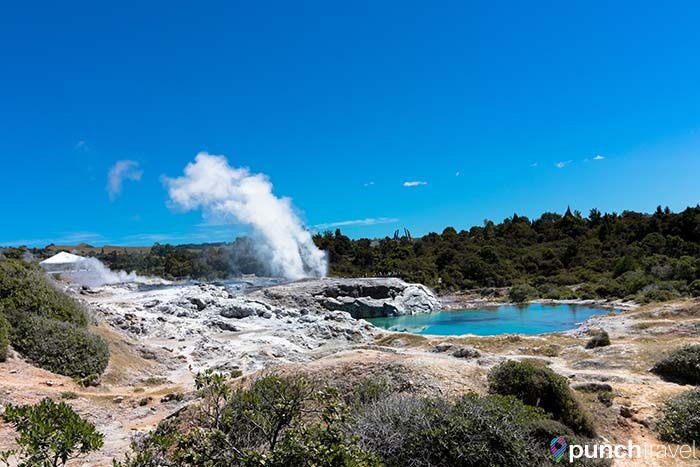 For 35 NZD we received a tour of the village in which we learned about Maori heritage and history, watched a cultural performance and witnessed two thermal geyser eruptions. 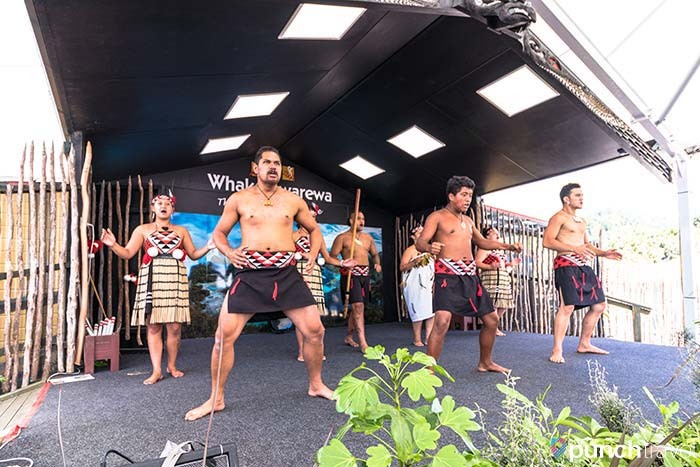 My favorite part was the performance – the haka is a very entertaining ceremonial ritual to see and the traditional songs were lovely as well. 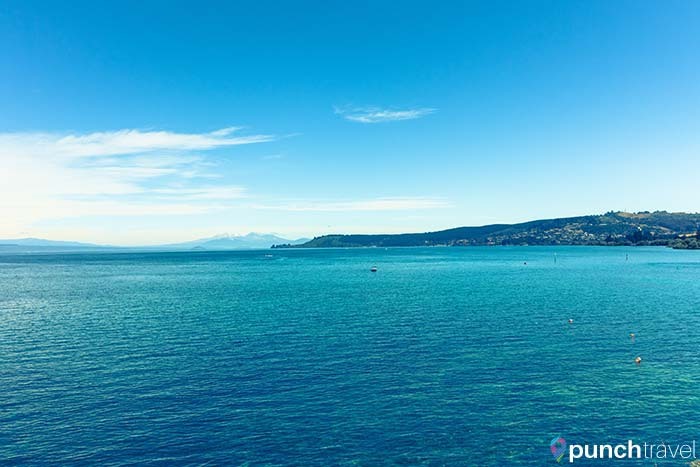 We continued from Rotorua to Lake Taupo, a large and beautiful lake in the center of the North Island. It is also New Zealand’s largest lake. In the background is Mt. Ruapehu, Mt. Ngauruhoe and Mt. Tongariro. Taupo is a good jumping off point for fishing, watersports and the infamous Tongariro Alpine Crossing. 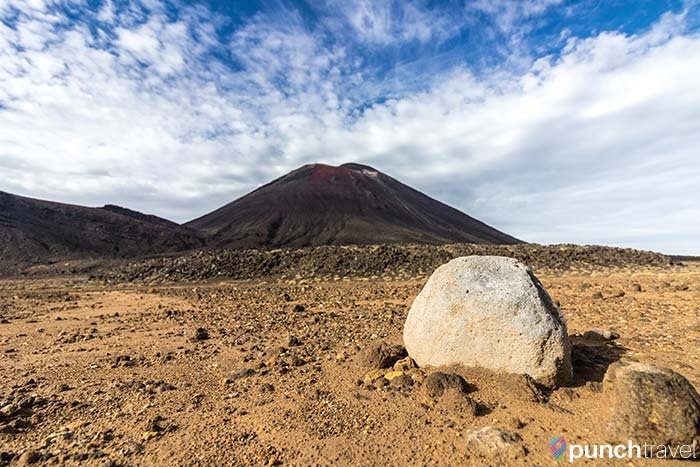 More about that in another post, Hiking Middle Earth: The Tongariro Alpine Crossing. And make sure to stop by their McDonald’s! Trust me, it’s one of the most unique restaurants you’ll come across. 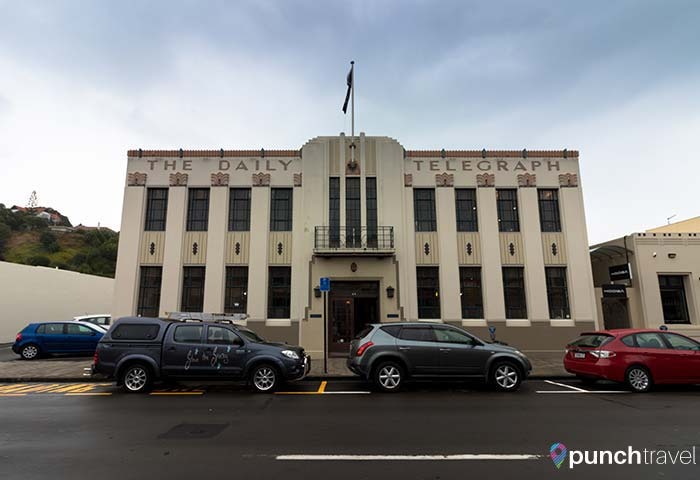 We drove east from Taupo to the seaside town of Napier. 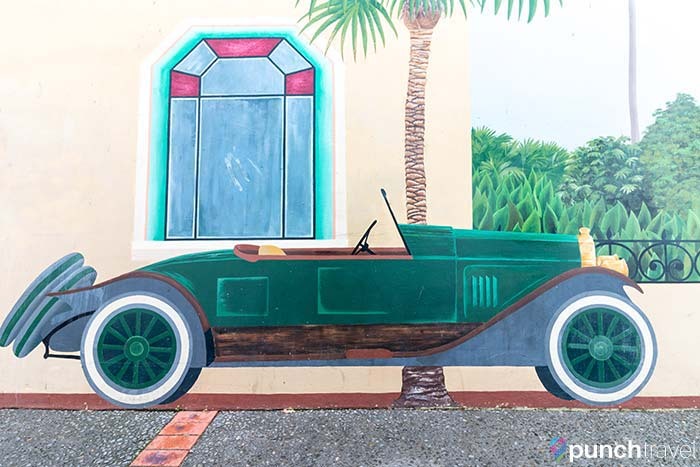 Visiting the Art Deco capital of the world is like stepping onto a movie set. The historic buildings along Tennyson and Dickinson streets are all frozen in time. There are many picturesque buildings to see, especially the batch of row houses known as the Six Sisters. Napier is also the beginning of the Hawke’s Valley wine region. There’s an endless amount of wineries in the region, and each has its own specialty. 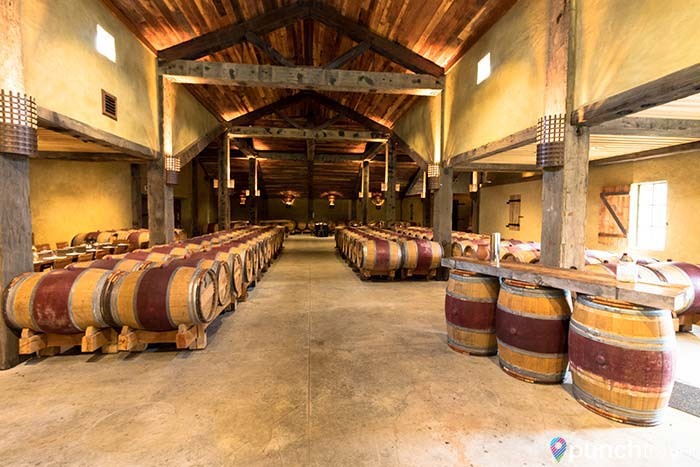 Church Road Winery is one of the oldest wineries in New Zealand and offers daily tours. 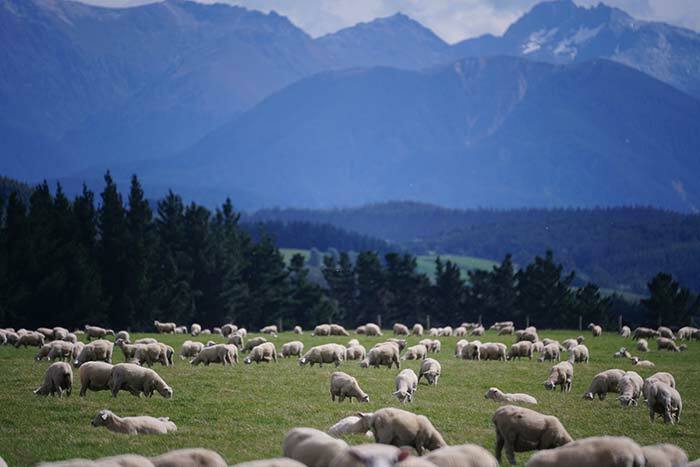 Did you know that most wine bottles in New Zealand are twist-top – a New Zealand invention? From Napier to Wellington takes about 4 hours but the city is well worth the long drive. 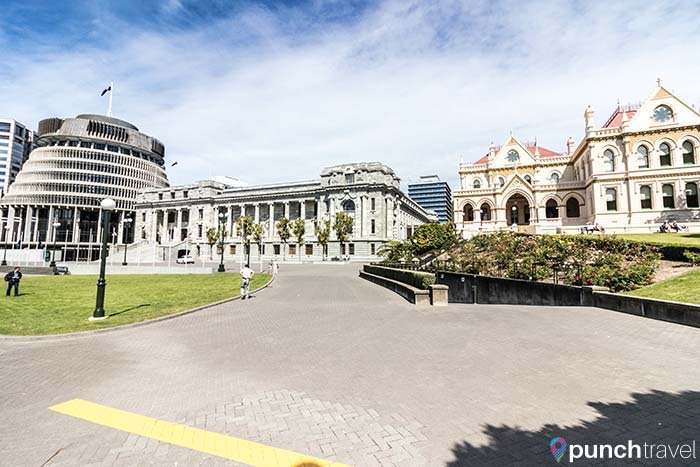 New Zealand’s capital city is quirky and creative, boasting several museums, a commanding culinary scene, a respected hub for filmmaking and a beautiful waterfront to boot. We spent three days exploring the city and could have easily stayed longer. 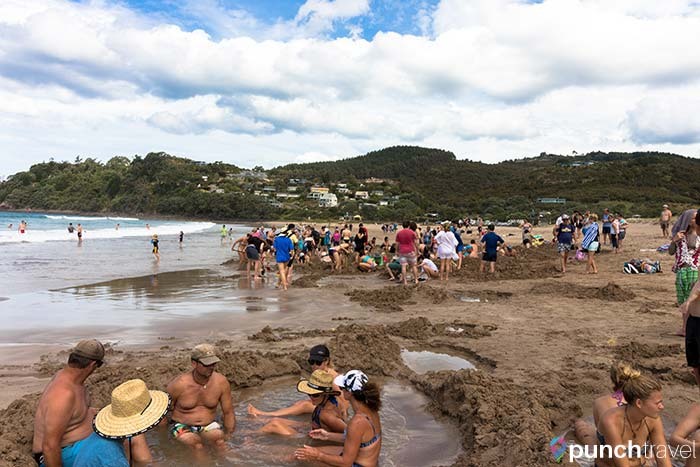 For our recommendations on what to do in Wellington, check out our post, Weekend in Wellington.